Nice cottage located on the slopes of the Tiber Valley, on the border between Umbria and Tuscany. Nice cottage located on the slopes of the Tiber Valley, on the border between Umbria and Tuscany. 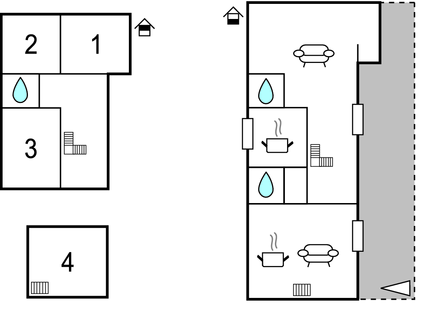 The house consists of two independent units (for four and six people - a spiral staircase leads to the first floor). The living rooms have access to a large covered terrace overlooking the valley. Rustic furniture, bedroom on the gallery with sloping ceiling (max. height 1.60 m). Next to the house is the private pool area (illuminated at night), behind it a small grove with a playground, barbecue. Convenient location to visit Arezzo (40km), Perugia, Gubbio, Urbino (60km) and many more. The small towns in the Valley, as Sansepolcro, Anghiari and Città di Castello, will not disappoint you. Or take a day trip over the Bocca Trabaria pass, to Urbino as well as to the Adriatic coast. San Giustino 2 km. This villa is made from brick or stone and was originally built in 1972 and refurbished in 2005. The agent has rated it as a three star property so it is a well-kept villa, equipped with standard furniture. It is also good value for money. 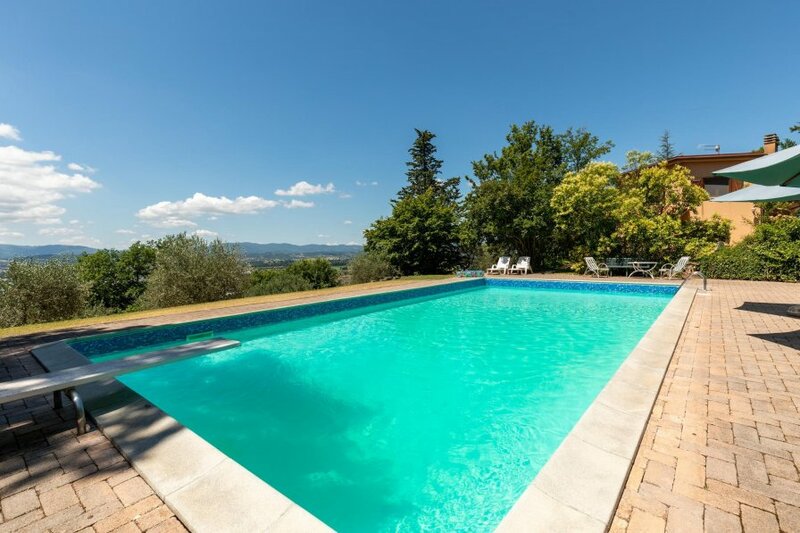 This villa has a private pool and panoramic view of landscape; it is also located in Sant'Anastasio, 45km from Arezzo. It is set in a good location: there is a restaurant 1.5km away.